Home > Finance > Is it Smart to Buy a TownHouse or Condo for a Rental Property? Is it Smart to Buy a TownHouse or Condo for a Rental Property? 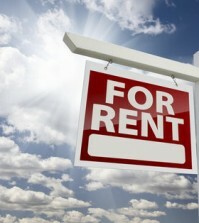 Finding a great rental property can be tough. In many markets prices are increasing and being able to make money on a single family house or multifamily building is difficult. One option is to buy the cheapest homes you can in your area and make them a rental. You can also buy a townhouse or condo and turn into a rental property since they typically less expensive than a single family detached home. I think condos or townhouses can be great investments, but you must look at the numbers closely. There are many costs associated with condos like HOA fees. The appreciation also may not be as much on condos and there are some very scary issues that can cause a great condo or townhouse investment to become a nightmare. Why are condos and townhouses so much cheaper than houses? Before I get into the pros and cons of condo and townhouse investments I want to be clear on what a townhouse or condo is. A condo is a unit within a large complex of apartments or other condos. There may be units beside you, above or below you. You rarely have any yard except a shared space with other units. A townhouse might have a small yard and may have neighbors beside the unit, but not above or below. Townhouses are typically worth more than condos, because they have less connected neighbors and some land. Both condos and townhouses are worth less than a single family home that is otherwise similar. How does a HOA work on a condo or townhouse? Almost every townhouse and condo will have an HOA. The HOA takes care of the shared land in the complex and most HOAs take care of the exterior maintenance and landscaping. Many HOAs also pay for the water on a condo or townhouse and they may provide common amenities like a pool, clubhouse or tennis courts. Some single family neighborhoods have detached homes that are in an HOA as well. The HOA fees are usually much higher on a condo or townhouse because the HOA takes care of many more things. Here is a list of many things an HOA takes care of on a single family detached home, a patio home and a condo or townhouse. If you are wondering what a patio home is, that is usually a single family detached home that has an HOA that maintains the lawn. The condo and townhouses have much more involved HOAs, which makes them much more expensive. In my area in Northern Colorado I see HOA fees for most single family detached homes $400 or less a year (if they have an HOA). HOAs on condos or town houses can are usually at least $100 a month and in some cases $400 a month. HOA fees can be even higher in larger cities with complexes that have security and many more amenities. Only one of my rental properties has an HOA and it is $300 a year. Is it a bad thing to have a HOA on a rental property? I have no problem with having a HOA on one of my rentals. The HOA takes care of the common amenities in the neighborhood and I have never had a problem with them. The only other job of this HOA is to make sure all the homes in the neighborhood are in compliance with the rules and regulations of the HOA. Many HOAs don’t allow work trucks to be parked outside, or excessive junk to be stored on the yard. For many people this is a good thing and for others a bad thing. As a landlord I think of it as another set of eyes on the property and I think it is a good thing to know if the tenants have junk everywhere or are not mowing the yard. I don’t think having a small HOA with few responsibilities is a bad thing. A larger HOA will provide many benefits as well. 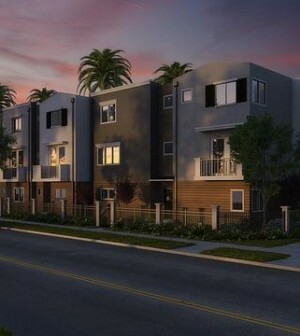 Even though a larger HOA will be more expensive, it will lower many costs for a landlord. The HOA will pay for exterior insurance and maintenance, which will reduce the landlords expenses. The HOA will handle yard maintenance and snow removal, which can lower the landlords expenses as well. In my case I invest in single family homes and I have the tenants take care of the lawn and pay all utilities themselves so that does not save me much money. The problem with a large HOA is they can create special assessments if they need more money for any major repairs or financial problems. I know of a couple of landlords who had their HOA fees increase greatly in a one year span, because the HOA had to repaint the exterior of the entire complex. The HOA fees went from just over $100 a month to $200 a month for every condo in the complex. Another HOA imposed a $30,000 special assessment on every single condo in a complex to pay for improvements. This particular landlord was planning on flipping the condo and all his profit disappeared with this assessment. The HOA cannot impose a special assessment or raise the HOA fees without agreement from the HOA members, but in many cases the members don’t show up to HOA meetings to oppose the changes. If you are buying a condo or a town house that has a fixed HOA fee, that does not mean it cannot be raised or a special assessment be levied upon the property. Will condos or townhouses appreciate as much as detached homes? Another factor to consider when buying a condo or a townhouse is the value of the property. Condos and townhouses are cheaper than detached homes, because they are cheaper to build and demand is higher for single family homes. You also own more land and have lower HOA fees with a single family house. When you have an HOA fee that also reduces how much a borrower can qualify for when they get a loan. Usually the condos and townhouses with the highest HOA fees will be worth less than similar condos or townhouses with lower HOA fees, because more buyers can afford them. A $100/month HOA fee could reduce the amount a buyer can qualify for by as much as $20,000. I don’t invest for appreciation, I invest for cash flow when I buy rental properties. That does not mean I do not consider possible appreciation or depreciation on the properties I buy. There are some people who prefer a condo to a detached home, but most people want a detached house. In my area condos are the first to start losing value in a down market and the last to increase in value in an appreciating market. While condos and townhouses can appreciate and often do, single family detached homes tend to appreciate more. It is the land that is causing the appreciation and detached homes have much more valuable land. How can FHA rules affect condo prices? 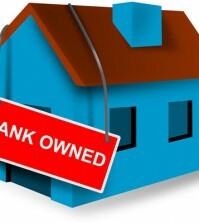 FHA will loan on condos and townhouses, but they have very strict rules. FHA will not allow a buyer to use a FHA loan to purchase a condo in a complex if there are too many investors in that complex. If there are more than 50 percent investors in a particular complex FHA won’t lend to anyone in that complex. FHA is a very popular loan and it can greatly decrease values in a complex if the units can not be sold using FHA. Here are some more requirements for FHA loans being used on condos. Even though conventional loans do not have to abide by FHA rules, some banks will also have guidelines similar to FHA to lend on a condo. Is it smart to buy a condo or townhouse for a rental property? As you can see there are many factors you must consider when investing in a condo or a townhouse. The number one factor should be cash flow and how much money you will make. You have to remember to factor in the HOA fees and the possibility that they may increase in the future. If you buy a condo in a complex that is older and will need work soon, you may see a huge increase in HOA fees or a special assessment. If many investors decide to buy units in a complex it could greatly lower the value of every unit due to FHA rules and don’t expect as much appreciation. 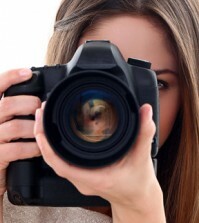 Can Good Real Estate Photos Cause A Faster Sale? If you are a current investor, real estate investor, private lender, business owner or a professional who serves these groups, then you will enjoy and benefit from the Reinvestor Newsletter. Enter Your Name & Email Below. Subscribe today, and get a valuable publication of ours as a free gift.